To encourage and practice contemplative movement using methods both ancient and modern. With dedication, these practices develop mobility, strength, and balance, leading to a sense of space, ease, and kindness in the mind/body. We are a community of practitioners, brand new as well as experienced, developing consistency, curiosity, self sufficiency, and freedom in our movement and meditation practices. Treat others as you’d like to be treated. Leave it better than you found it. Suspend judgement. Practice kindness, respect, humility, reasonableness, and love. *Experienced students are welcome to start when the doors opens at 6am. Teacher Supported Independent Practice is designed and appropriate for students of all levels. With guidance from the teacher and using the Ashtanga sequence as a template, students develop personal practices. Based on the method developed by Sri K. Pattabhi Jois, this vigorous class is comprised of sequences and subsequences determined by the general ability of the group. There are a limited number of extra mats available for students to use, so if you have your own mat, please bring it. 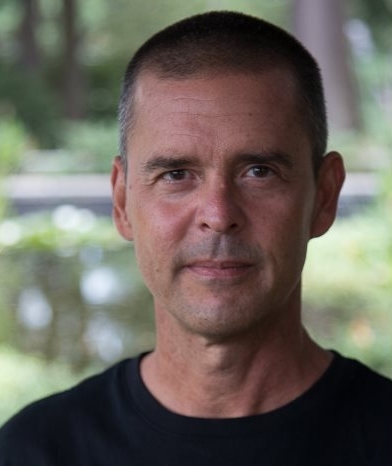 Troy has dedicated the last 30 years to the practice and study of yoga, having studied closely with Tim Miller, Pattabhi Jois, and Richard Freeman. He’s developed a multifaceted technique that allows a person of any age, size, and lifestyle to tap the full potential of what a yoga asana practice has to offer. Skilled at drawing out the natural intelligence inherent in each student, Troy has a unique ability to understand each student’s practice with humor and patience. His interactive teaching style is both vigorous and contemplative. He offers in-depth knowledge combined with the grace and ease built from decades of experience. If wonder comes about because of the existence of things we do not yet understand, then as the area of our knowledge grows so too does the perimeter of our ignorance. conclusion of the guided classes.